AIR 2.0.0 (Automated Image and Restore) is online! 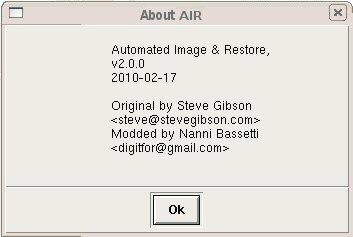 "A new version of AIR has been released. The primary change is that it now supports the dc3dd imager and doing 2 hashing algorithms. Thanks to Dr. Nanni Bassetti for his modifications and feedback that made this release possible. As always, feedback and comments appreciated." 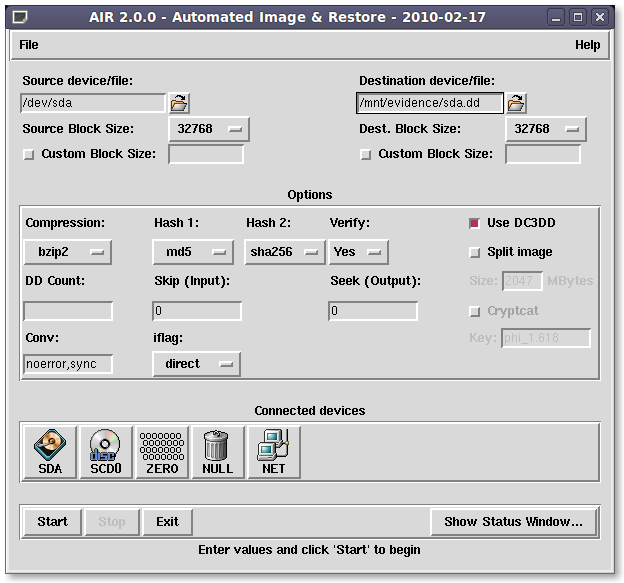 AIR (Automated Image and Restore). I remember when I used for the first time this precious and useful GUI for the DD and DCFLDD, it was the 2005...me and thousands of people have loved it...and in the 2010 I am in the development team, because I just modified AIR changing DCFLDD with DC3DD, double hashing and iflag setting.